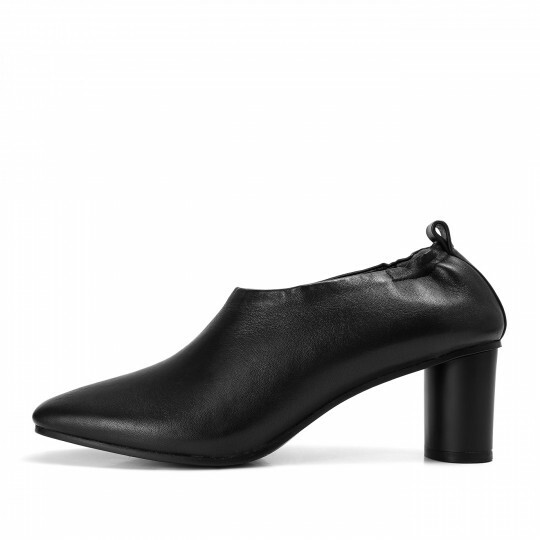 JUNTA is a mid-heel low booties crafted in smooth lambskin leather together with genuine leather from insole to outsole. The oval block heel is a highlight to the square-toe design. With an considerate easy-wearing elastic rear collar and an stylish pull tag behind, this is absolutely an elegant yet comfortable piece in a perfect balance.